Say three Hail Marys for your parish priest. Without our priests, we could not have the Mass or the Sacrament of Reconciliation. Pray for your deceased relatives and those who have no one to pray for them. Spend quality time with a family member or friend; offer to help them with something with which they need assistance. 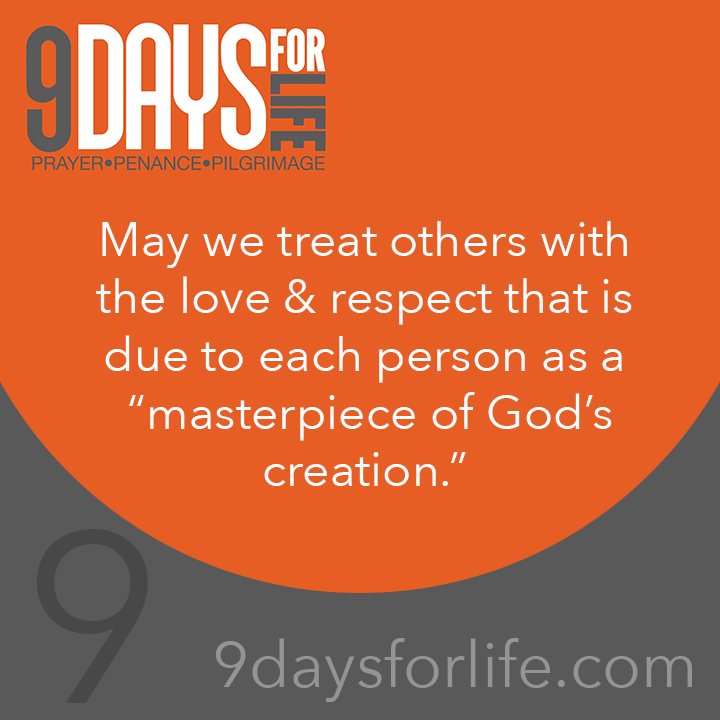 Read the brief 2014 Respect Life Program flyer, from which today’s reflection was taken, at www.bit.ly/2014Flyer.